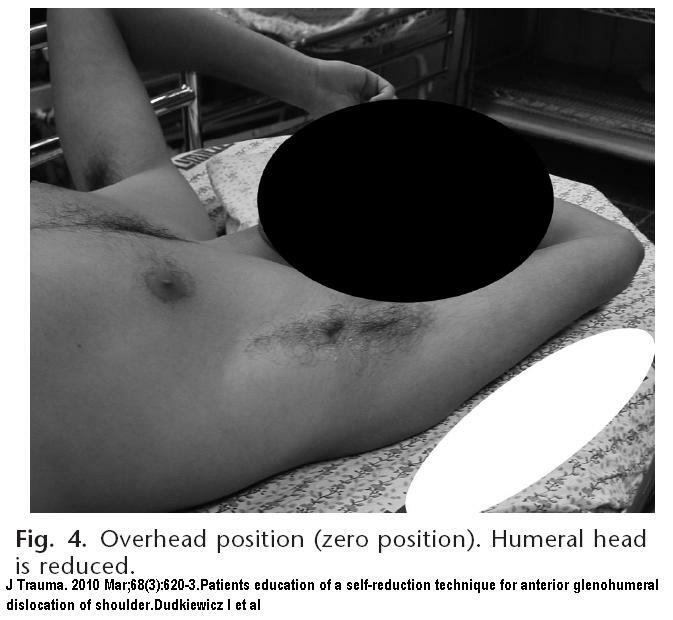 Patients education of a self-reduction technique for anterior glenohumeral dislocation of shoulder. This technique is for repeated problems that have already been seen by a physician and worked up. 1) Lay down on your back with arm straight down on bed 45 – 60 degrees from side. 6) Push with other hand in armpit to maintain shoulder head in position while bringing elbow down. Technique takes 6-17 minutes (average 10) and has a 97% success rate. Sorry to have to use journal pics but can’t really do without them..